The hardest type of fat to lose is belly fat. But, it’s the most important fat to lose. Belly fat can be a sign of poor cardiovascular health and can signify (years before it happens) potential onset of diabetes, heart attack and even colon cancer. 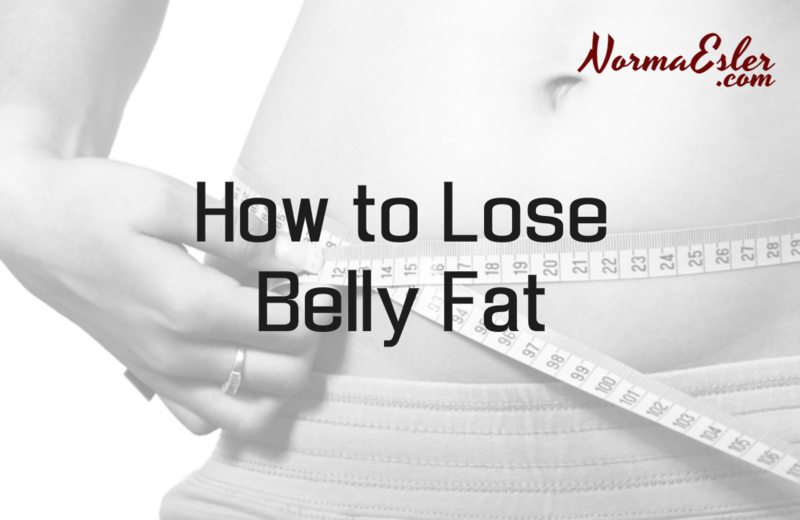 Getting belly fat under control is of utmost importance. Thankfully, due to science we know more than ever about belly fat and why we have it. In women there is thought to be a connection between cortisol levels and waist circumference. The stress many women have in their lives tends to make them produce more cortisol which tends to force them to store extra fat around their bellies. This is the “muffin top” or even “beer bellies” that you often see in otherwise thin women. It is critical that women with excess belly fat (compared to body fat) find ways to reduce their stress levels. One way to do that is to find ways to get some “me” time through exercise or other stress reducers. Some people have gotten some results by adding a resveratrol supplement, which is an ingredient found in red wine, grapes, cherries and cranberries. It helps reduce stress, increases motivation and sometimes gives a boost of energy not unlike caffeine. Whether it’s “diet food” or out and out “bad” food, it’s best to avoid processed food of all kinds. Sticking as close to nature as possible to get the nutrient-dense foods that your body needs will do a lot to help you because your body will be getting the vitamins and minerals it needs to repair itself. Think low calorie, high nutrition. You can eat a larger volume of food when you seek to limit processed foods and stick to whole foods. The truth is the only beverage that anyone should be drinking is water, and some green tea (assuming you can have the caffeine). Don’t drink fruit juice or soda (diet or not) and limit alcoholic beverages. Instead, drink fresh filtered water, about eight glasses per day. If you feel the need for something sweet, eat fruit – don’t drink it. Aerobic exercise will not only help you lose weight, combat stress, and burn calories, but it is also very good for your cardiovascular system. Since belly fat plays havoc on the cardiovascular system, it’s important to find a way to improve your heart health. The only way to truly burn fat is also through aerobic exercise. Eat your largest meal in the morning and eat less as the day progresses. Your last meal of the day be your lightest. There are some theories about eating only during daylight but this is usually very hard to do in today’s busy life that women live with work, kids, family, volunteering and more. There is a big connection between lack of sleep and being overweight, including having excess body fat around the belly. Most people need between seven and nine hours of sleep a night. The best way to find out how much you need is to keep going to bed earlier and earlier until you can wake up naturally in the morning at the time you need to get up for work without an alarm. Even women who are of normal weight but who have round bellies have higher death rates than women who are overweight but do not have excess belly fat. There is a test health care providers use to determine an issue with belly fat which is called the height to waist circumference ratio. This number turns out to be a more accurate indicator of health. You get the number by dividing your waist circumference by your height. If you’re under 40 and your waist to height ratio is 0.5 or higher, you are considered to be very unhealthy and it is critical that you get help for your weight issue. If you’re 40 to 50 years old, then you should not be over 0.55 and if you’re over 50, then you should not be over 0.6. If you are above those ratios, seek immediate medical evaluation and start a plan to reduce your waist circumference.